Our towns in the Gunnison Valley are some of the best towns in Colorado for family vacations because of their relatively small sizes and relaxed, chill vibe. The relatively cool temperatures don’t hurt either! Whether you’re staying on the mountain in Mt. Crested Butte, in the bustle of downtown Crested Butte, at the confluence of the Gunnison River’s headwaters in Almont, or in our biggest city, Gunnison, all of them have the same welcoming spirit. They’re a perfect destination for families who are looking to unplug, reconnect, and spend some time together without the distractions and the bustle of normal life. Kids will love the freedom to be outside and explore. Parents will love the time away from screens. 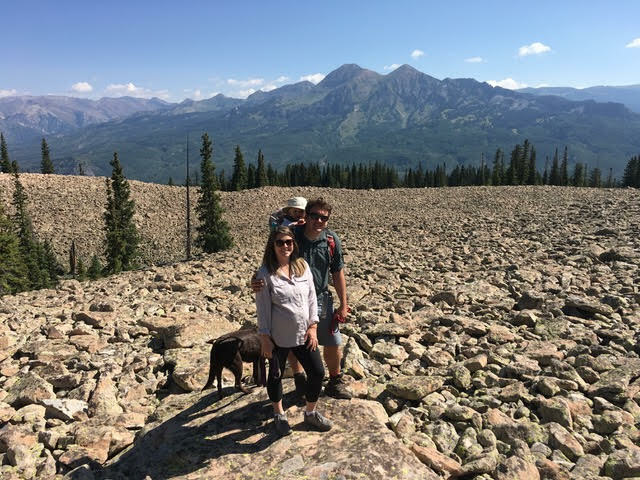 With non-stop flights from Houston (IAH) straight to Gunnison-Crested Butte (GUC) and affordable lodging options throughout the Gunnison Valley, make this summer the one you escape to Colorado’s best mountain valley for a family vacation. With nonstop flights on United from Houston (IAH) and Denver (DEN) to the Gunnison-Crested Butte Regional Airport (GUC), flying is the best and easiest way to get to the Gunnison Valley this summer. Houston service runs daily from June 6 through August 19, 2019 while Denver has 1-2 flights daily depending on the time of the summer. Book your flight at united.com and check our lodging directory to find the best lodging option for your family. 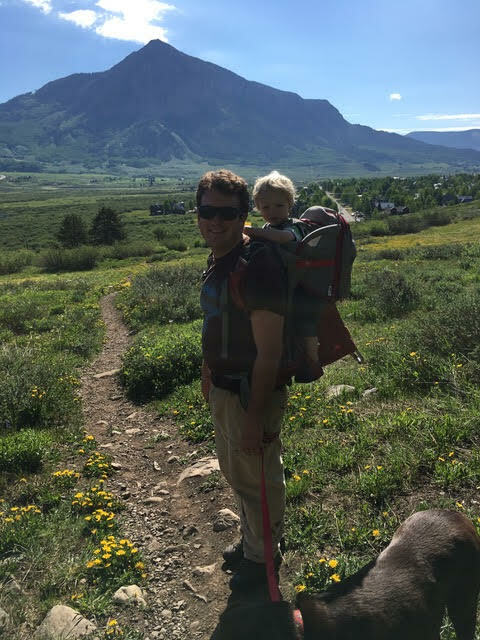 Beyond our weather (highs top out in the low 80s and practically no humidity), there are plenty of reasons to visit Gunnison and Crested Butte this summer for your family vacation. Here are a few of our favorite things to do. The Gunnison Valley is home to over 750 miles of mountain biking trails. On that list, we have some trails that consistently rank among the best rides in the world. But we also have some pretty great trails for the whole family to get out on and explore together. Local kids start riding the Lower Loop system outside of Crested Butte on their striders before they’ve even learned to pedal a bike! With both wide track and singletrack options, it’s a great place to start easy and work up to more difficult trails. Gunnison’s Hartman Rocks offers a great loop built specifically for adaptive handcycles that offers easy grades, smooth trails, and fun swooping turns. Evolution Bike Park at Crested Butte Mountain Resort offers a progression from easy trails up to double diamonds, so whether you’ve got young kiddos or teenagers, everyone can find something they want to tackle. They also offer kids mountain bike lessons so parents can get a day to themselves and know that their kids will be happy and tired at the end of a fun day riding bikes. Gothic, CO, a former silver mining ghost town, is home to one of the oldest and largest biological research stations in the entire world, the Rocky Mountain Biological Laboratory, aka RMBL (pronounced rumble). Some of the world’s top climate scientists, bee and pollination researchers, and stream water quality experts move themselves and their lab teams up to Gothic to live in cabins and study the local ecosystem every summer. A bonus for local kids and visitors alike: they offer a really great kids nature camp. The kids get to be right in the thick of things at a state-of-the-art research facility learning a specially-designed curriculum from the Biologists. The camps are specifically structured so that they can be stand-alone days, making them great for visiting families who want to give their kids a once-in-a-lifetime experience. On top of the 750 miles of shared trail with mountain bikers here in the Gunnison Valley, we have hundreds of miles of trail in wilderness and non-mechanized areas that offer beautiful vistas and hikes ranging from fairly easy to extremely strenuous. We have over 2 million acres of public land here in Gunnison County and pieces of 5 Wilderness Areas: the West Elks, the Raggeds, the Fossil Ridge, the Maroon Bells-Snowmass, and the Collegiate Peaks, so the hiking here in the Gunnison Valley is practically endless. Gunnison is home to the largest body of water in Colorado, the Blue Mesa Reservoir. The Blue Mesa is a playground for families who love to wakeboard, SUP, boat, or just hang out on the water. It’s pretty massive for a lake in the mountains, so it’s not too hard to find a quiet cove to set your anchor and just chill. Part of the larger Curecanti National Recreation Area and right next door to the Black Canyon of the Gunnison National Park, there are plenty of hikes and other activities to keep you busy, too. The Junior Ranger Program is great for young kids! We have nonstop daily flights between Houston (IAH) and our own Gunnison-Crested Butte Regional Airport (GUC) from June 6 through August 19, 2019. It’s a super easy trip from Texas to the Gunnison Valley. We also offer daily non-stop flights from Denver to Gunnison with twice daily service starting up June 6 and running through August 19, 2019 (flight dates subject to change). Full schedules for both routes can be found by searching flights on united.com. Looking for other ways to get to Crested Butte and Gunnison? Head over to our Getting Here page. Gunnison and Crested Butte are separated by 28 miles of mostly open country. Between, you’ll find Almont, where the Taylor and East Rivers come together to form the headwaters of the Gunnison River. If you continue past Crested Butte 3 miles, you’ll find Mt. 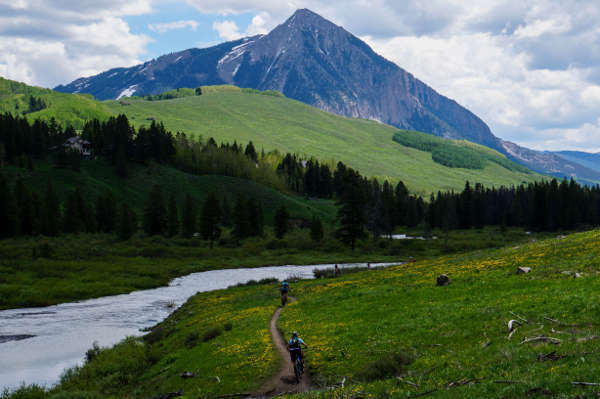 Crested Butte, home of Crested Butte Mountain Resort and the Evolution Bike Park. Search our Lodging directory for options from cabins and B&Bs up to larger-scale hotels. Most all of these are great for families. Late June through mid-August, you’ll find fun concerts and events taking place in a different spot in the Valley nearly every day. Our event calendar is updated weekly and provides a good listing of all of the events going on in Crested Butte and Gunnison.